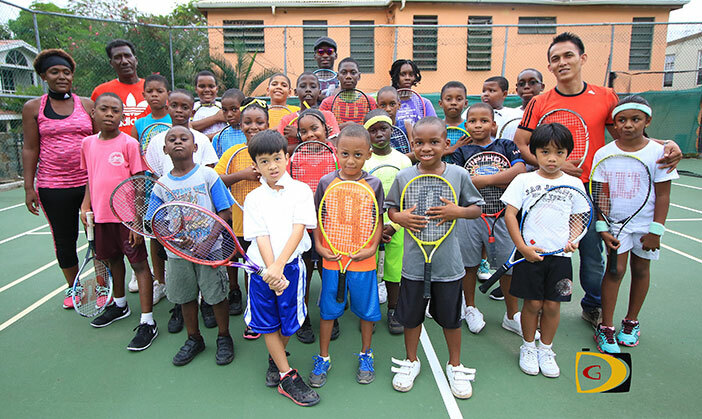 In her first 100 days at the helm of the BVI Tennis Association, Carol Mitchell is taking Tennis in the territory into a new realm. On Tuesdayafternoon, the association launched a Jr. Tennis Program at the Long Look Tennis Courts sponsored by the International Tennis Federation. The program began with 25 participants. Mitchell said it’s good to have the outer islands involved in the program. The Jr. Tennis initiative will run concurrently with the after school program. The program is a quarterly program running through December. At the end there will be a tournament within the program. This Mitchell said, keeps them mentally focused and helps their game. When asked about her first 100 days in office, Mitchell said it has been a challenge.